Verisign is the big winner as consumers face higher bills for .com domain names. David Redl, who leads the National Telecommunications and Information Administration, gave Verisign a windfall. It’s not clear what he got in return. The U.S. Department of Commerce’s National Telecommunications and Information Administration (NTIA) has extended the Cooperative Agreement between it and Verisign (NASDAQ: VRSN). This agreement governs how Verisign is able to operate .com, which has a contract with ICANN to run. The biggest element of the agreement is pricing. Previously, the agreement froze the wholesale price that Verisign could charge for .com domains. The new agreement still has pricing restrictions but allows for 7% price hikes in four out of every six years. Actual pricing must be negotiated with ICANN. Those 7% price increases mean the price registrars pay for a .com could increase up to 31% every six years. They pass these costs on to their customers. I’m still struggling to understand what NTIA chief David Redl got from Verisign in return for these price increases. The NTIA release states that Verisign has agreed to “operate the .com registry in a content neutral manner”, which might be a pat on the back to Ted Cruz, who was upset about the NTIA giving up a key contract to ICANN that gave it some theoretical additional control over the internet. But nothing changes here; Verisign has always run .com in a content-neutral manner. Big Winner: Verisign – This is the most obvious. Nearly all of Verisign’s business is maintaining its monopoly contract to run .com. Every cent it raises prices drops directly to the bottom line. I have to hand it to Verisign; this deal will be a boon for investors. They have a contract to run .com that’s already well above market prices, and they will likely get to increase prices even further. Its stock is up 18% today. Winner: Other Registries -When Verisign increases .com prices, it makes other TLDs seem more appealing. Other domains can be priced lower, and even those that are priced higher will be able to justify their prices to the marketplace. Winner: ICANN – ICANN wants more cash in the bank, and what better way to do this than to renegotiate its contract with Verisign. ICANN will grant Verisign price increases in return for Verisign giving a bigger kickback to ICANN’s coffers. Winner: Phil Corwin – The outspoken critic of Verisign laid out excellent reasons Verisign shouldn’t be able to increase .com prices when he worked for an advocacy group that represents domain owners. Then Verisign hired him, silencing a key critic. Think he gets a bonus? Depends: Domain Registrars -This might seem counterintuitive, but some domain registrars stand to benefit from the wholesale price increases. Whenever Verisign has increased fees in the past, these registrars have used it as an excuse to raise their prices and blame someone else. History tells us that they tend to hike their prices more than the 7% that’s being assessed to them. Other registrars will be hurt, especially ones that offer low-cost services or have customers with large domain portfolios. GoDaddy will be one of the hardest hit. It’s looking at millions of dollars a year in extra fees based on its portfolio alone, plus passing along fee hikes to all of its customers. Big Losers: Consumers – Consumers will pay more for their .com domains. A very small business that has one or two domains won’t feel the sting, but in aggregate there will be a large hit to SMBs. Larger corporations, domain investors, and businesses that rely on lots of domains to make their business hum will directly feel the pain. NTIA chief wants ICANN to restrict post-ICANN employment. 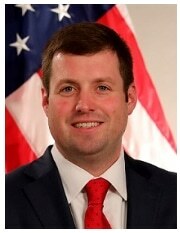 Following up on remarks made during ICANN 63 in Barcelona last week, National Telecommunications and Information Administration (NTIA) head David Redl sent a letter to ICANN Friday criticizing people leaving the regulator for industry companies. Redl first mentioned the concern publicly last week in comments during the meeting. His interest in the subject presumably stems from Donuts hiring Akram Atallah as its new CEO. Atallah led the Global Domains Division at ICANN. NTIA continues to be a strong supporter of the multistakeholder approach to Internet Governance, including through our participation as the U.S. representative to the Governmental Advisory Committee (GAC) at the Internet Corporation for Assigned Names and Numbers (ICANN). Paramount to the success of the multistakeholder approach is trust in the institutions that make decisions about the Internet’s future. While the community has greatly improved ICANN’s accountability through the IANA stewardship transition process, I am writing to raise a concern about an accountability deficit at ICANN. Recent ICANN senior staff departures have highlighted that ICANN lacks postemployment restrictions. Given that ICANN, through the enforcement of its contracts with domain name registries and registrars, performs an industry self-regulatory function, it is necessary that conflicts of interest or appearance of unethical behavior be minimized. While the United States will recommend this issue be addressed in the third iteration of ICANN’s Accountability and Transparency Review Team (ATRT3), which we expect to have had its initial meeting no later than June 2019, I encourage you to look into this now. One potential fix could be “cooling off periods” for ICANN employees that accept employment with companies involved in ICANN activities and programs. This is an ethical way to ensure that conflicts of interest or appearances of unethical behavior are minimized. One challenge I foresee is that ICANN sometimes hires people from the industry because of their specialized knowledge. It might be difficult to attract these people if they can’t return to industry companies. ICANN would need to compensate them for the restriction. I also wonder if employment laws in various states and countries would limit the ability to enforce cooling off provisions. Redl says U.S. government continues to fight for access to Whois information. This morning at the Internet Governance Forum in Washington, D.C., NTIA Assistant Secretary David Redl spoke about the impact of the EU’s GDPR on Whois. He said the lack of public Whois is an “unmitigated victory for the spammers and scammers that plague consumers and businesses” and that the U.S. government is working with the European Data Protection Board and other groups to address it. The most pressing issue facing ICANN right now is updating the WHOIS service in light of the European General Data Protection Regulation, or “GDPR.” The WHOIS is a service that, prior the GDPR’s effective date in May, provided public access to domain name registration information, including contact information for the entity or person registering the domain name. This WHOIS information is a critical tool that helps keep people accountable for what they put online. Law enforcement uses WHOIS to shut down criminal enterprises and malicious websites. Cybersecurity researchers use it to track bad actors. And it is a first line in the defense of intellectual property. Unfortunately, European authorities have indicated that the collection and public provision of domain name registration data violates the GDPR. Because of this, as of late May, domain name registries and registrars have stopped providing important domain name registration information contained in the WHOIS. This is an unmitigated victory for the spammers and scammers that plague consumers and businesses. NTIA and the highest levels of the U.S. government are engaging with the European Data Protection Board, the European Commission, and European Member States to provide clarity and guidance to the community as it works to facilitate access and accreditation to WHOIS information, which is now private. This access mechanism is critical to meeting the needs of law enforcement, cybersecurity, and rights protection. NTIA will take a lead role in the process to develop this access mechanism and will fight hard for the important governmental and commercial equities in the WHOIS service. Government is looking into Article 49 exceptions of GDPR.